By Wesley Fenlon on Aug. 30, 2010 at 9:20 a.m.
Red, green, blue, and yellow pointers all have unique differences, and choosing which kind is right for you can be a challenge. Growing up in the early 90s, laser pointers were a rare and expensive brand of cool. Before I knew about the cheap red lasers that would soon grace keychains and pockets everywhere, the industrial-strength laser pointer a family friend possessed would fill me with nerdy awe. She'd remove it from its hard plastic housing, where it rested on a throne of soft foam padding, and use it as a dog toy. Turns out, dogs go crazy for lasers. We may not chase laser spots around on the carpet obsessively trying to eat them, but we love lasers too. And thanks to the Power of Science, expensive red laser pointers have been surpassed by more powerful beams of light in the past decade. 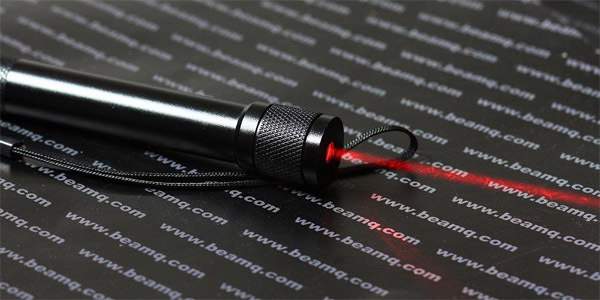 Buying a laser pointer was once an easy decision, but now it requires a bit more research. 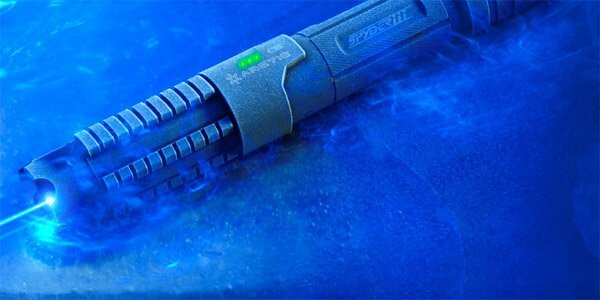 What's better: a green laser or a blue laser? What about a yellow laser? Are red lasers even worth a second glance in 2010? 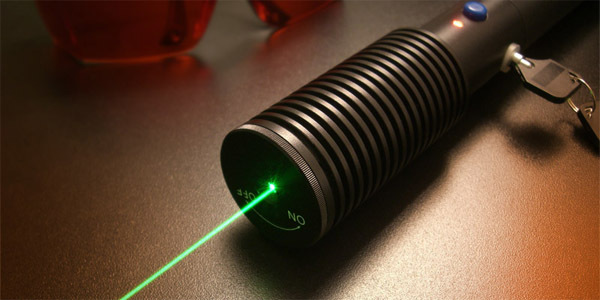 wavelength of laser pointers is measured in nanometers (nm) within a visible range of 400-700 nm. Peak visibility for the human eye is 555nm, which is why red lasers trend towards the top of that scale, while newer blue and violet pointers land in the high 400s. Power output is measured in milliwatts (mW), and laser pointers are broken up into a number of classes based on how powerful they are--and there's quite a range. Class I pointers operate at less than half a mW, and Class II lasers are safe up to 1mW thanks to the human eye's blink reflex. Class IIIa lasers scale up to 5mW, while IIIb lasers can top out at 500 mW . Don't mess around with these suckers. Red lasers started the whole pointer phenomenon, but with the emergence of better technology they've lost ground and now reside on the geek tech B-list. 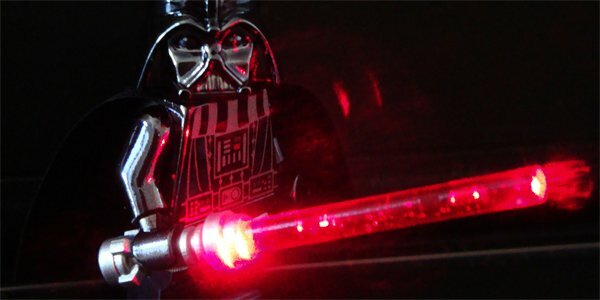 Of course, you should never point any laser at you eye, but red lasers lack the power and distance of newer models. But some red laser pointers actually make use of the diode-pumped solid state design that powers their hipper, brighter blue and green brethren. Looks like red pointers aren't completely washed up, after all. Wavelength: 650nm. Power: 200mW. Range: claimed up to 10 miles. Not bad for old red, eh? Wavelength: 630-680nm. Power: under 5 mW. Range: nowhere near 10 miles. Shop around for other models--there are tons of cheapos out there. Today, green lasers reign supreme. They're far brighter than red lasers, typically operating at 532nm in the Class IIIa range. Under 5mW, these lasers can be visible for thousands of feet in optimal conditions, which makes them completely viable for shining into the starry sky and more than capable of handling classroom pointing duties. When you move beyond 4mW, these things start to get a little crazy. pop balloons and light matches within a matter of seconds. And you can bet you'll feel it on your skin, if you let the beam linger for more than a few seconds. Wavelength: 532nm. Power: 150mW. Range: Just (edit: DON'T) go pointing this one at airplanes. That's a felony, and they will find you. Wavelength: 532nm. Power: 5mW to 130mW. Range: Ditto above. 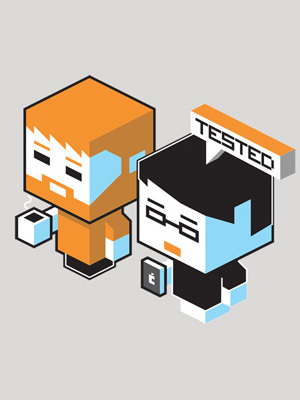 Low-end: Check Amazon or your favorite retailer for cheap pointers. Just make sure they're not leaking out infrared light. These suckers are still cutting edge, and have only hit the market in the past few years thanks to everyone's favorite HD video technology, Blu-ray. Blu-ray actually operates using a violet laser, and while blue lasers typically operate at closer to 500nm, violet lasers barely make it into the visible spectrum at 405nm. If you're looking for a more exotic laser, blue or violet is the way to go. But just like green lasers, powerful enough blue or violet light can be dangerous. Wavelength: 445nm. Power: more than 500mW. That's right, this sucker's a Class IV laser, and can be dangerous for the human eye from more than 200 meters away. They weren't fooling around when they designed it like a lightsaber. Though yellow lasers have been around for a few years, the complexity of converting the beam into visible light has kept them out of the realm of affordability. 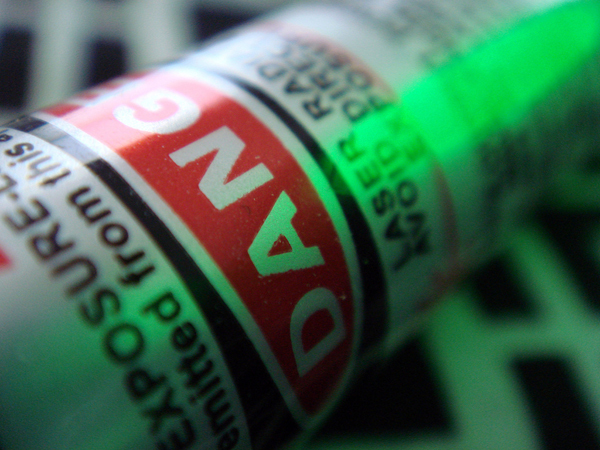 Most yellow lasers also cycle on and off, so don't go expecting a constant, steady beam for long periods of time. 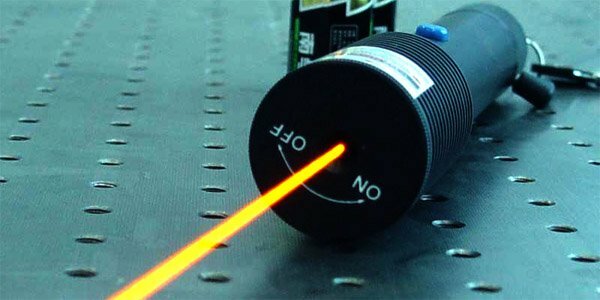 But if you simply must have a yellow laser at 593.5nm, they do exist. Wavelength: 593.5nm. Power: .6-19mW. Cycle: 30 sec on/15 sec off. Unfortunately, though Wicked Lasers seems to produce some of the raddest (and most dangerous) pointers on the market, their customer service and shipping reliability are reportedly less than stellar. If you're in the market for a high-end product, you may want to try your luck with them, or go for another company like Optotronics. No matter where you buy, every self-respecting geek should own a dangerous light-emitting device, right?